Yes, fellow moms, feeding our beloved children requires a great deal of skill and mindset when our budget doesn’t match our children’s stomachs. What is a mom to do? Well, we are to save where we can and plan, plan plan. I know several people who do not enjoy grocery shopping. I actually like to grocery shop. Spending the money at the store is a different story. Some of my friends do the Walmart grocery pick up in order to NOT go into the store. If they go into Walmart, they may spend more than they would like. If they pick up, they aren’t tempted to buy more. As for me, I would prefer to go into the store still. We don’t buy a ton of items at Walmart, though there are a few things I like to get there. If you are a Walmart shopper and don’t want to go into the store, then pick up may be right for you. The ways I save money on groceries is mostly through ecoupons, coupons and grocery apps. 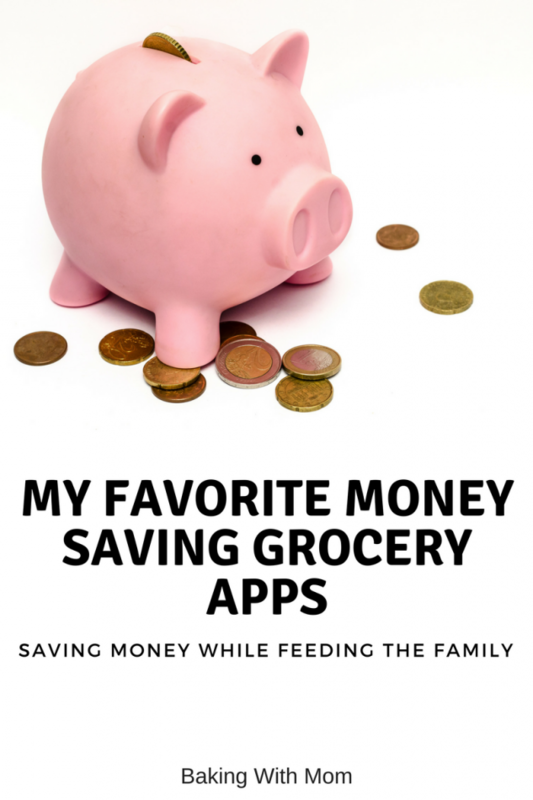 Here are a few of my favorite money saving grocery apps. Checkout 51 is an app on your phone and has coupons on it. You go through the app and find which coupons you want to use and check mark them. However, you don’t redeem these coupons at the store, instead after you shop, you scan your receipt. If they have a coupon that matches something that you buy, you get $$ for that item. I just started doing the Walmart Savings Catcher. Just recently, at least in my area, they stopped price matching. In it’s place is the Walmart Savings Catcher App. What I do is scan my receipt when I get home. They process it and if they find a lower price in any of my local ads, they will credit my account that much money. I then can spend it in an egift card. I know someone that at the end of the year, had almost $300 saved up. Great for Christmas gifts! Did they miss a sale? You can contact them and dispute it. Another app I just started using. 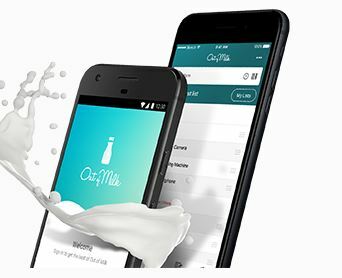 This one doesn’t directly save you money but it does help you get your grocery list in order and saves you time and potentially money when you use it. Okay, I do not use this. To be honest, since I run a site that makes quick, family friendly recipes I can’t imagine me ever using this site. However, I know people love sites like this and since I have a coupon code for you, I thought I would share it. Hello Fresh is a company that sends you the ingredients, the instructions and know-how all you have to do is cook it. You can plan how many days a week you want delivery, for how many people and the type of meals you want. If meal planning isn’t your thing, Hello Fresh may be for you. I have a money saving deal for you! You can receive $30 off your first box here. I hope this helps you save a few dollars while grocery shopping for your hungry family! Stay tuned at Baking With Mom for easy, family friendly recipes (and frugal too! ).